This small section of the website is aimed at you, to get to know me a little better and to give you a glimpse of who I am and what I am doing. We may live in a digital age, however, in my experience, the best working relations have always been bordering to friendship where mutual respect was instilled. This section of the website should help to break the ice and hopefully start a fruitful working relationship. Drop me a line and let’s see what I can do to take your music to the next level. Like most people I ended up doing what I am doing by pure chance. I always knew I wanted to work with music but back then, I would never have guessed I would have become a mastering engineer (especially because I didn’t have the foggiest idea what an ME was). Altough I started playing guitar at the age of 10, playing an instrument was never on the cards when I was a kid. One Xmas I received a classical guitar which collected dust for several years until I started to take some guitar lessons. While in Vienna I had my first recording gig in a top commercial studio with Neve VR, 2″ tape, DASH and Steinway Grand Coda. I have never felt so fascinated and intrigued in a very long time. I just wanted to sit in front of that Neve desk…Jeez, It looked like the USS Enterprise! The day I received the Diploma Wayne asked me what I wanted to do. I told him I wanted to be Captain Kirk! Back home I started to work as a trainee in a small post production studio for the national television RAI. At the same time I joined forces and built a small recording studio with a very good friend of mine only to realise that Italy wasn’t the place for me to be. I came to London in ’98 and started working as an assistant in a commercial studio in South London. 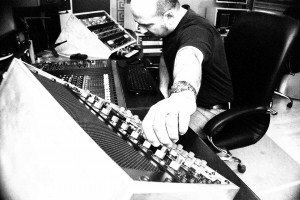 Soon I become in-house engineer and had the pleasure to work for many artists such as Craig David, Bill Bruford, Tiger Lilies, Dana Gillespie, Alex Wilson, Simon Fisher Turner and many many more. The owner of the studio had me involved in mastering sessions quite often but because everything was done inside ProTools I have never found it very exciting. On the other hand, clients were happy to work with me and came back on a regular basis so, I guess I was doing something right. 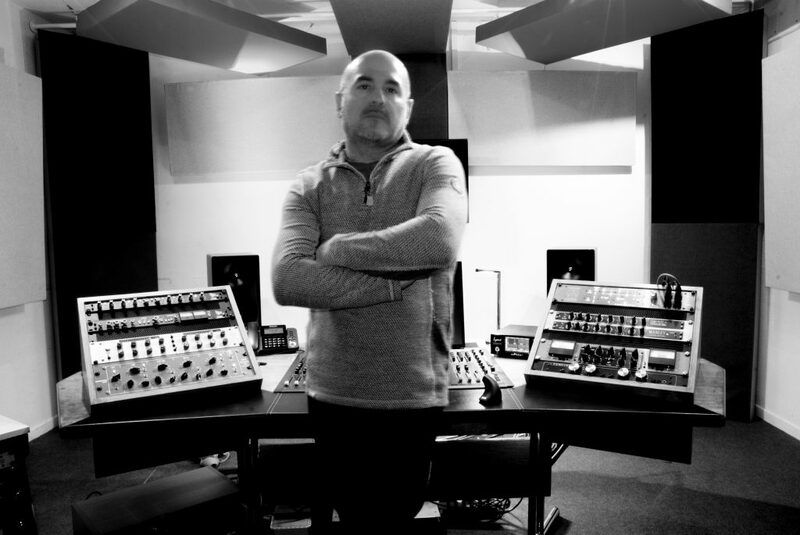 In 2001, during a mixing session for a fairly successful band, they asked me to master a single very quickly as they had a couple of hours before the new single was passed on national radio….and they wanted me to use analogue gear for that. Being young and carefree has sometimes its advantages. Although I didn’t have the foggiest idea of what I was doing I had a lot of fun doing it! We used Ampex 1/2″ to print the mix form PT and went back into a (very) long analogue chain. The results were apparently very good as the label signed off the master on the first draft. I guess that was the day I actually pictured myself for the very first time as an ME. In 2004 I moved into my own place in Shoreditch. Around that time SOS published an interesting article about “online mastering” and I realised there were only a few studios who offered it. Back then ADSL was still very slow but the studio where I was renting the suite from had a super fast T1 connection. It was game on! Within a couple of months I was advertising online mastering services…I was one of the first 10 studios in the whole of the UK to do that. All those mastering sessions done internally in Protools started paying dividends and my phone started to finally ring. In 2008 I had the chance to move to Battersea Park and build my own studio from scratch. Being a musician myself, I liked the idea to have a space to record instruments such as piano and drums for my own projects. So I got the builders in and designed and built my own mastering suite the way I always wanted it. In 2018, ten years later, I have decided it was time to expand and separate the mixing and mastering duties from the production side of the business. So i have refurbished and set up the studio in Battersea into a fully fledged production house and moved all the mastering gear into the beautiful country side of North Yorkshire. I chose this part of the world as the new studio will run solely on a online basis and this is one of the best places to raise a young family. So, although I am still in London on a regular basis to take care of business, after 20 years on London…I am officially a Northerner! After more than ten years we are still in business, alive and kicking! Swift Mastering has grown into a respected mastering facility both here in the UK and in Europe. It took a lot of hard work in order to get where we are and we are immensely grateful to all artists, management and labels who supported us over the years. We like to work with all types of people and we always try to go the extra mile to make sure every project gets as good as it possibly can!